Having a sense of wonder is not just for children. God still creates cool stuff and the more we learn about it, the more our ministry is enhanced. lilies – we can find countless images in science to help us interpret Scripture. Preachers love sermon illustrations. There are hundreds of them here. God uses everything to point to what’s True and 21st Century preachers can also find illustrations in science that will enhance our interpretation. Did you know that there are “tongue experts” (James 3:6-10) and provocative studies about ashes (Genesis 3:16)? Spiritual practices as well as bad habits can be understood by considering how our brains work. And remembering that Abram was 75 years old when called to leave Haram is enhanced by knowing that indeed some of our elders are more nimble than younger generations. Some of us are big fans of this website (although I’m uncomfortable spelling out the word.) God created an unspeakably interesting world and for the sake of the Gospel, let’s read about it. 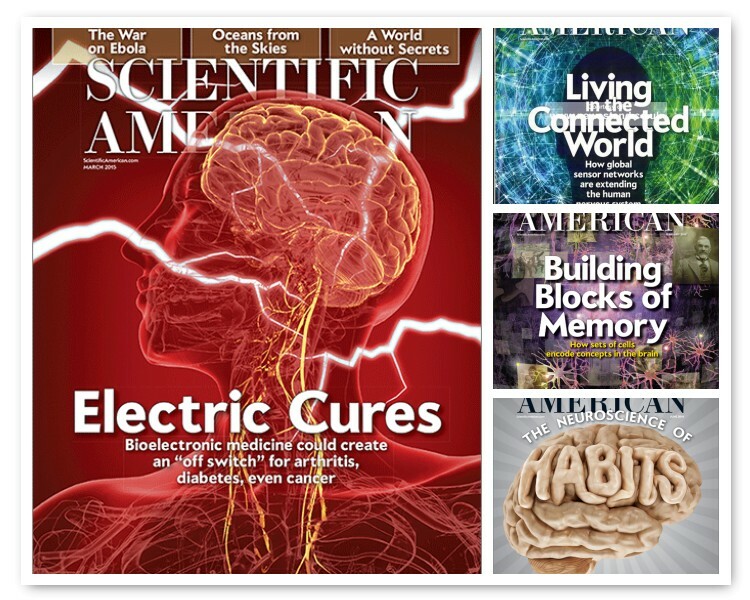 Image is a mosaic of Scientific American magazine covers.